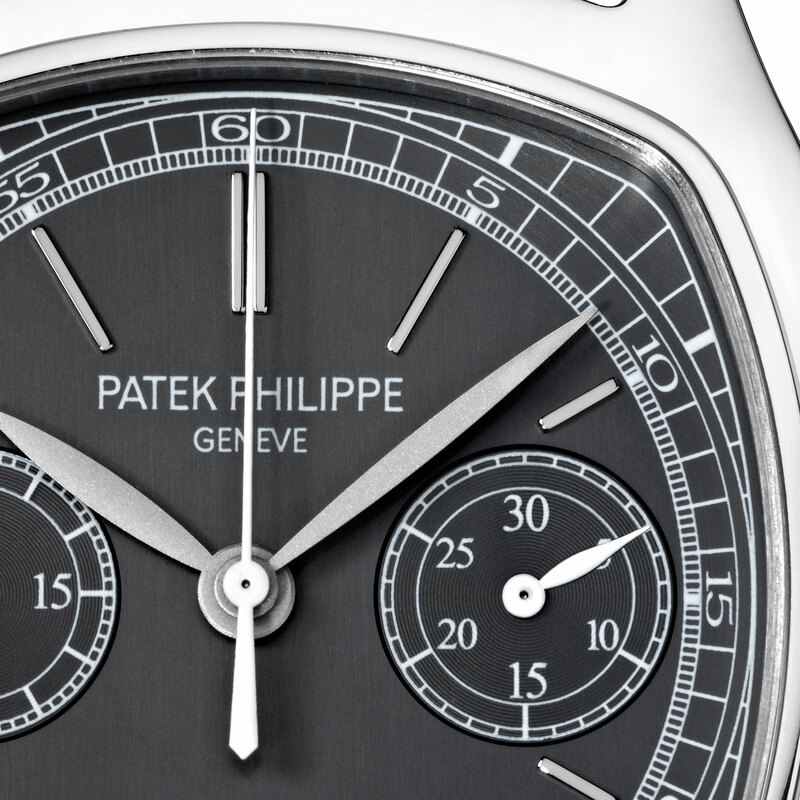 Patek Philippe has just unveiled new limited edition that is sure to send collectors into a frenzy. Sixteen calibre 13-130 (13′” movement used in ref. 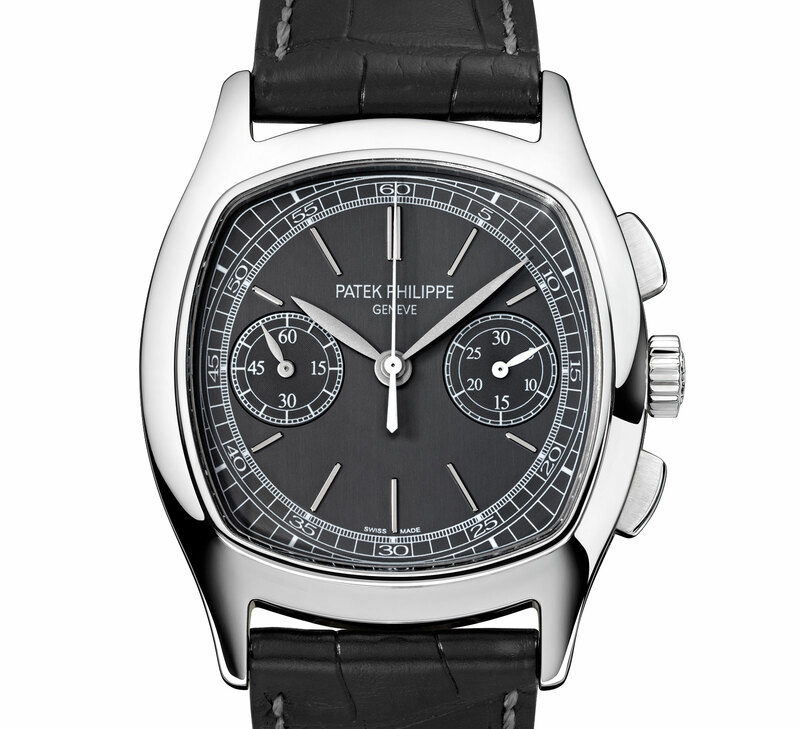 130 chronograph) were found when Patek Philippe in 1996 along Rue du Rhone in Geneva where its boutique now stands. Apparently they were found in an old chest on the fifth floor; 16 beautiful calibres, based on the Valjoux 23 ebauche, originally assembled in 1955 – it certainly makes for a fantastic story. This is based on the Valjoux 23 ebauche but heavily modified and far more beautiful than other executions of the same Valjoux. In fact this is probably one of the finest chronograph movements ever in terms of classical design and finishing. The 16 calibres were overhauled and put into cushion shaped steel cases like those used for the 5950A rattrapante chronograph. No modifications to the movements were done, so the movements are entirely original. The balance has no shock proofing for instance. 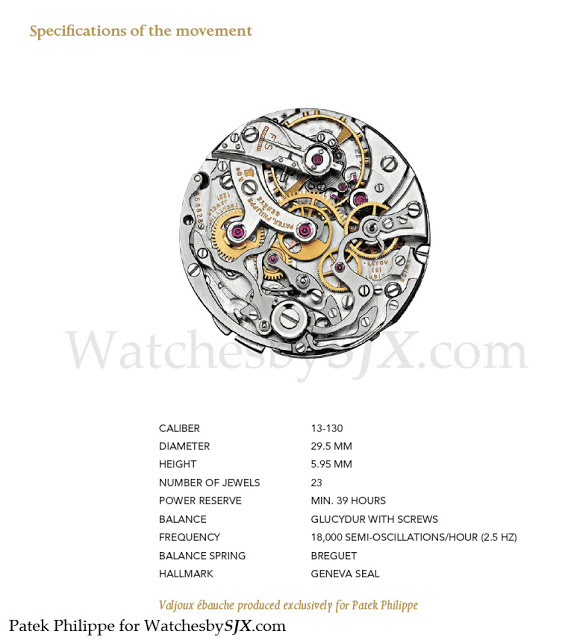 With a price tag of CHF240,000, and available only at Patek boutiques, it is not an inexpensive watch. In fact that’s more than what the rare steel case vintage 130 chronographs with the same movement go for at auction. But it is a Patek and a limited edition so there will be 16 grateful buyers.